Interesting alternative to invest some time swimming in Vilar de Santos. Is it not your very first time here? Tell us how it went using the Facebook comments below or contacting us directly! 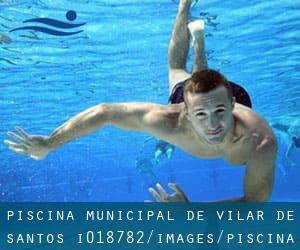 Piscina Municipal de Vilar de Santos is only one of all of the swimming pools Swimia is offering you, and its knowledge has been shared with us by a swimmer like you.Bear in mind you can now promote Piscina Municipal de Vilar de Santos by sharing this page with your friends, adding comments and linking to us. This sports center offers 25 meters, 4 lanes, Outdoors, Salt Water, Non-Chlorine Sanitized. Contact details for this Pool which include phone number and email address are number. Updated on 2019 Avenida de Pardo de Cela, 2 , Orense (Ourense) , Spain (Postal Code: 32003). This great and large sports center lets professional swimmers like you enjoy Olympic size x 21 meters, 8 lanes, Indoors. Additionally, within these facilities you can try 25 meters x 10 meters, 5 lanes, Indoors. Phone number and e-mail address are number for this Pool. Dos de Mayo nº 72 , Xinzo de Limia , Spain (Postal Code: 32603). Among all the activities offered by the center, if you are keen on swimming you will enjoy 25 meters x 12.5 meters, 6 lanes, Indoors. Just in case you want to make contact with this Pool prior to dropping by, we only know the phone number. Updated on 2019 Rúa Irmáns Moreno , Verin , Spain (Postal Code: 32600). This sports center provides 25 meters x 12 meters, 6 lanes, Indoors. Contact data for this Swimming Pool including phone number and e-mail address are number. Updated on 2019 AVD. ZAMORA, 82 BAJO 32005 (ORENSE) , . Updated on 2019 PARDO DE CELA,2 PABELLON DEPORTES 32003 (ORENSE) , .